Stay warm and keep your performance high when temps are low. Design details include a hood with drawcord, secure zippered pockets and elastic trim at the cuffs and hem for a comfort fit. 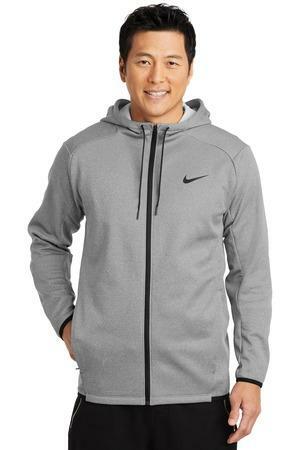 A contrast heat transfer Swoosh design trademark is on the left chest. Made of 7-ounce, 100% polyester Therma-FIT fabric.